A female singer songwriter from Kansai. Began music in her teens, but took a break at the age of twenty. Although she had been away from music for five years since then, she made her musical return in 2008. In June 2010, released her 1st EP “UNHAPPY BIRTHDAY”. The mix of cynical lyrics with pop sound caught the attention of many. In 2011, appeared for the first time in “FUJI ROCK FESTIVAL ‘11”. 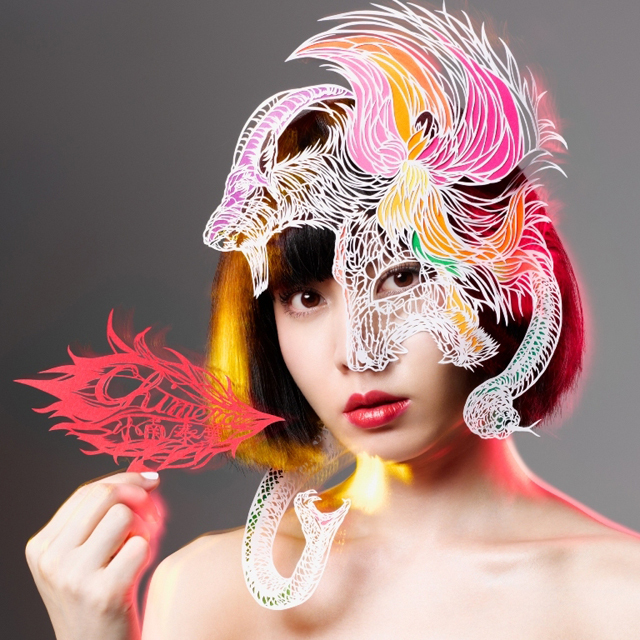 In May 2012, made her major label debut with the EP “Usotsukism”. In June of that year, held her first one-man tour in Tokyo, Nagoya, and Osaka. Tickets for all shows sold out, revealing the high expectations she has been receiving. In September, released her first major label single “Trash”, which became the theme song for the movie “Ashura”. In December 2012, released the 2nd EP “121212”. In May 2013, released her 1st major label album “Chimera”. The shocking cover artwork featuring her covered in collages was widely talked about.